German supplier ZF Friedrichshafen established a joint venture with China's Beijing Automotive Industry Corp. to build chassis parts for passenger vehicles in a suburb of Beijing. The 10 million euro (77 million yuan) partnership will be 51 percent owned by ZF, with the remaining stake owned by BAIC. The venture will begin production in 2016, and initially will produce 200,000 front- and rear-chassis modules per year. ZF has supplied chassis parts to Beijing Benz Automotive Co., BAIC's joint venture with Daimler, for many years. According to ZF, the new partnership will supply components to BAIC and its other joint ventures with Daimler and Huyndai Motor Co. BAIC also builds cars under its own brands. 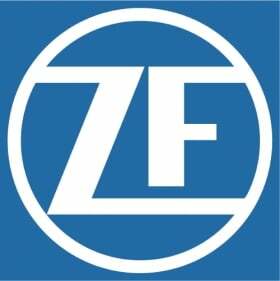 ZF opened its first plant in China in 1994, and it currently operates 25 factories in the country. Last year, its China sales totaled 2 billion euros (15.5 billion yuan).